UNGEX Pty Ltd and UNIVERSAL GREEN EXPERTS Sdn Bhd (both known as UNGEX) are revolutionary companies that endeavour to help change the way that people think about personal care, as well as help Remove Demodex hair mites on hair & skin problems globally. UNGEX has developed a wide range of innovative products, all aimed at preventing and helping to eliminate Demodex mites. UNGEX Pty Ltd (Australian HQ) is a sister company to Universal Green Experts Sdn Bhd (Malaysian HQ). UNGEX agents and sub-agents in Malaysia and Singapore, sell the Malaysian-made products (for a full list click here) as well as our latest Australian-made products which has recently launched and available for online purchase (to purchase click here). Demodex is a genus of tiny parasitic mite that live in, or near the hair follicles of humans. When Demodex mites are present, a wide variety of problems can occur. Some of these can include hair thinning and hair loss. In addition to that, recent scientific research has revealed that Demodex mites could be responsible for a variety of health issues including hair loss, thinning hair, aging skin, enlarged pores, facial redness and discolouration, acne, rosacea, itching and general discomfort. UNGEX has developed a wide range of revolutionary products that combine specialised techniques with our in-home care system (read more about ithere). Our products are natural and herbal based solutions, all aimed at helping to Remove Demodex hair mites on hair & skin problems and further restoring your scalp, hair and skin’s natural beauty. Our goal is to help ensure a safe, effective way of helping those who suffer from Demodex mites. To stay highly competitive and innovative at all times. To be recognised as the major player both locally and internationally in the personal care industry. 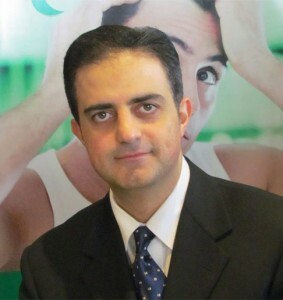 Seyed Behbahani founded Universal Green Experts Sdn. Bhd. in 2011 as well as his company UNGEX Pty Ltd in 2014 with the goal to help Remove Demodex hair mites on hair & skin problems by introducing a revolutionary new concept in mite removal technology, known as ‘UNGEX’. Seyed is a solution-driven business administrator with over two decades of management experience. Since 2011 he has been the president and CEO of the Malaysian based Universal Green Experts Sdn Bhd and in February of 2014 he founded the Australian based UNGEX Pty Ltd of which he is Managing Director. Seyed places strong emphasis on his team through implementing workplace based professional development and mentoring programs. His companies have received several business certificates and awards, including the 2012 ‘Best Invention Award’ for the invention of ‘UNGEX Hair Mites Solution’ by Universal Green Experts, from Taiwan Invention Intellectual Property Association (TIIPA) in Malaysia Technology Expo 2012 (The leading international invention and innovation expo). Seyed has participated in many exhibitions and seminars both locally and globally. Throughout his career, he has focused on quality service delivery and remained dedicated to the satisfaction of each customer and the communities in which they reside.